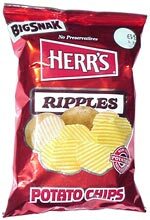 Taste test: These are good ripple chips. Lots of potato flavor, nice crunch, and not too much salt. A Philly favorite. Smell test: Nice potatoey smell. From the package: “This package is sold by weight. When product is packaged, bag is full. Some settling may occur during shipment. 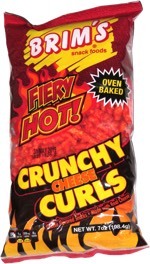 This snack was discovered by Jeremy at Wawa at 38th and Spruce, Philadelphia.